Whiskas dry cat food is 100% complete & balanced with the right level of nutrients for your senior cat's changing needs to keep them full of vitality. Increased Vitamin E and Taurine support natural defences and a healthy immune system, including a healthy heart. Controlled minerals support a healthy urinary tract, whilst Omega 6 fatty acids and Zinc help to support a healthy skin and coat and Vitamin A helps keep their vision strong. 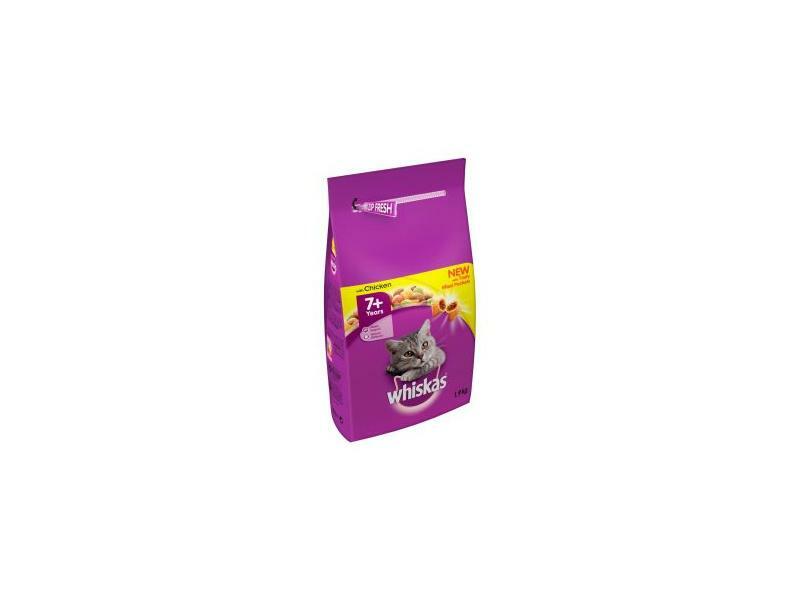 Whiskas dry cat food also has tasty filled Pockets are crunchy on the outside with a soft and delicious filling for your senior cat. 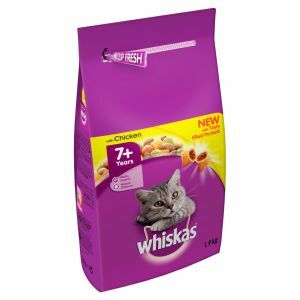 There are currently no questions for Whiskas 7+ Complete with Chicken - be the first to ask one!